Our Plano location is at 641 West Plano Pkwy, Suite 303, Plano, TX 7S07S. Our Plano center is in the Collin Creek Village Shopping Center. Being by the Collin Creek Mall they see many clients a day making Plano one of our busiest centers. This center was one of our original four opened in 2008 with 15 centers now open . Plano is one of our top centers . Plano has built their business through great customer service and they are results driven. They want happy successful clients that are Slim4Life. They have so many successful clients. Their before and after pictures are amazing to look at. Their staff want long term results for their clients. They want a client to lose weight rapidly, keep that weight off and refer their friends to Slim4Life. That is why SIim4Life Plano have a large referral base of clients. 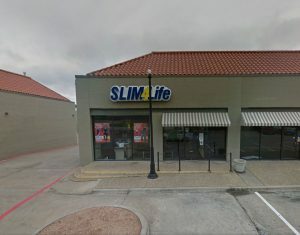 Make an appointment at our Plano weight loss center today!